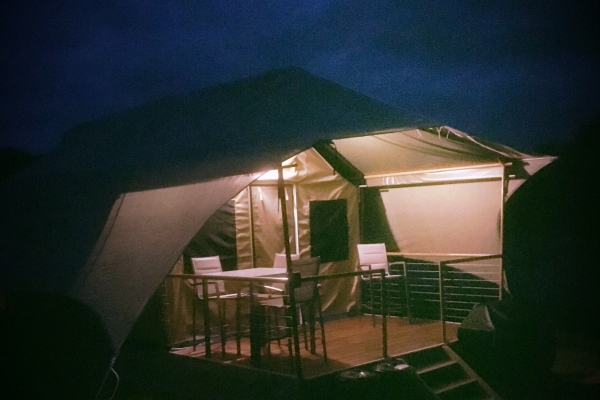 Our two eco glamping tents are designed for a couple and sleep a maximum of 2 adults only (no babies or children). 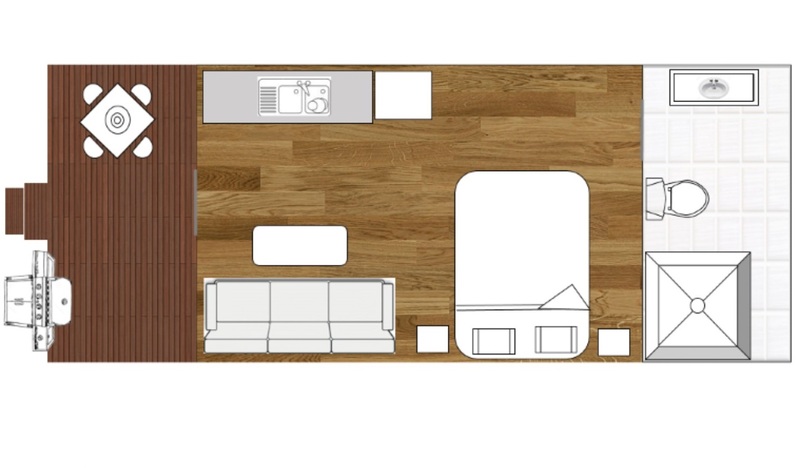 The bedding configuration is one queen size bed. 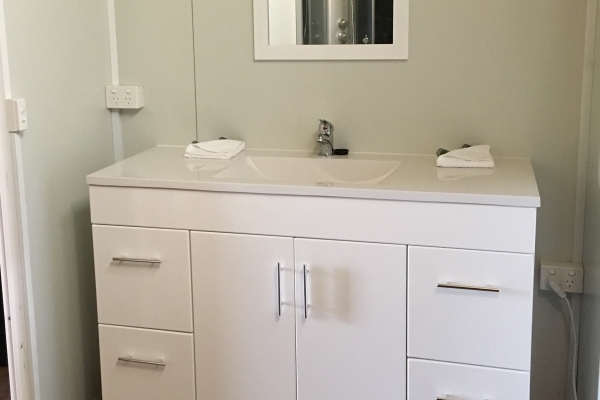 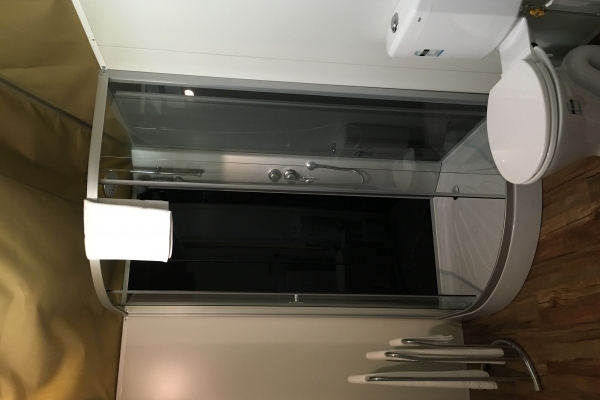 They are open plan, with a separate ensuite bathroom. 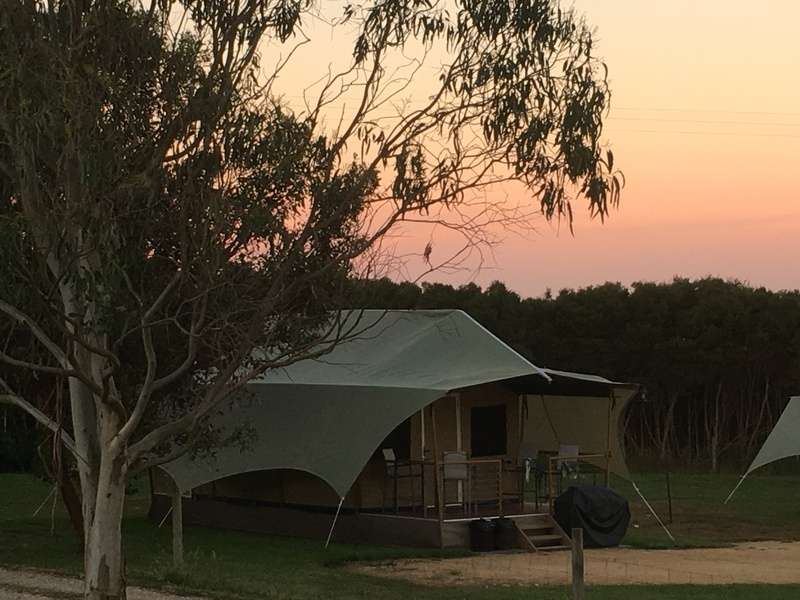 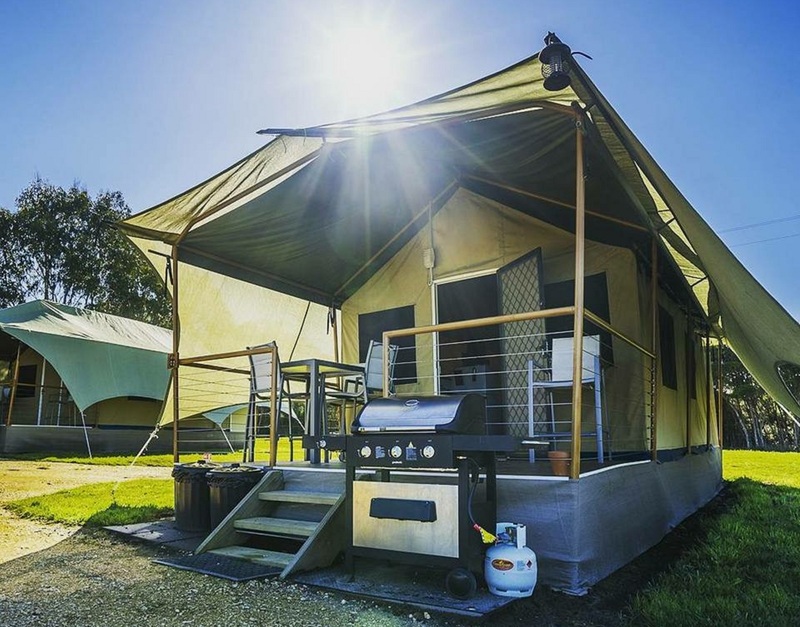 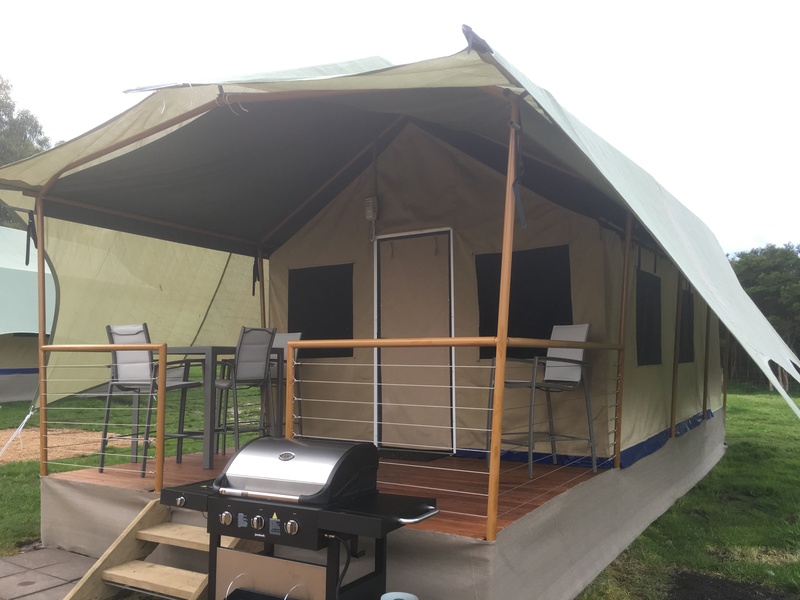 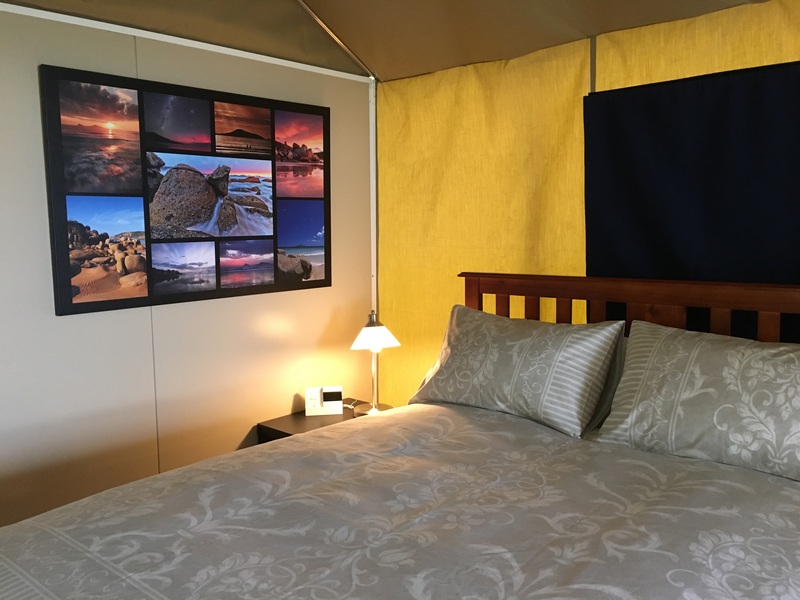 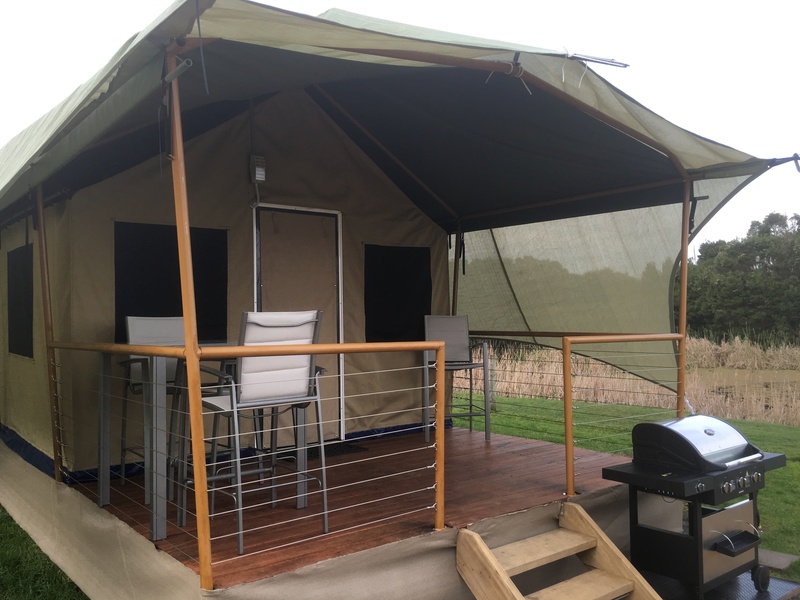 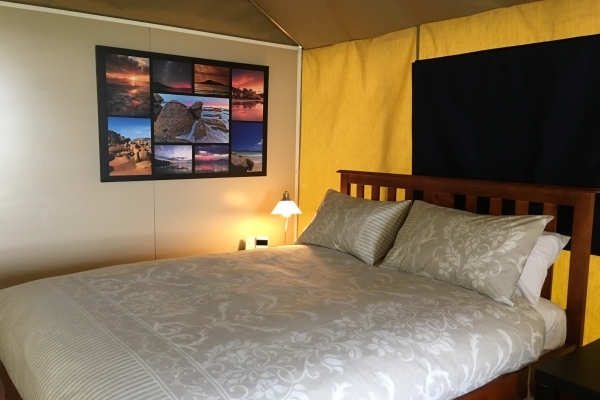 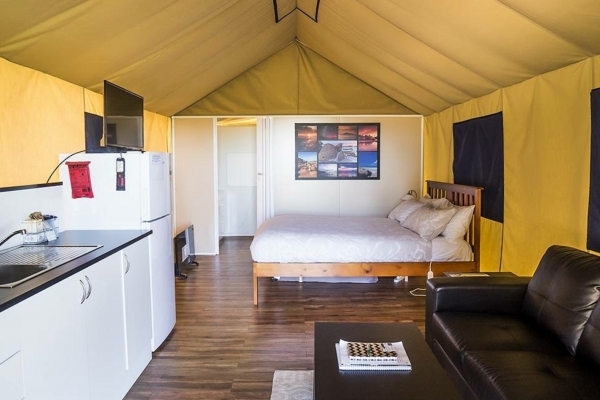 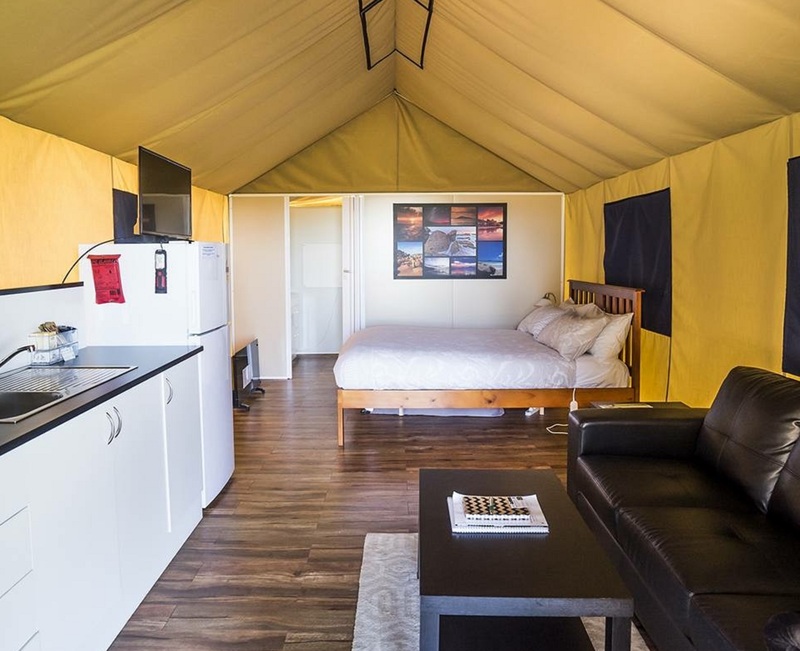 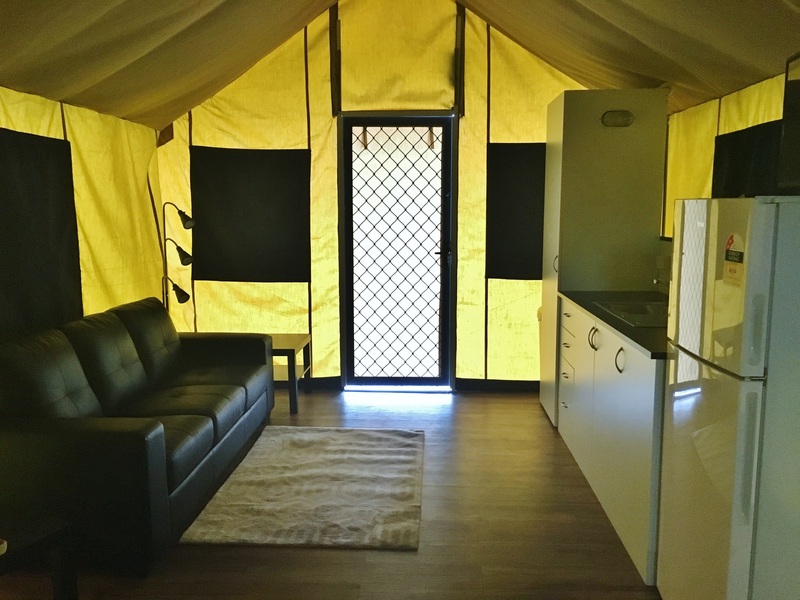 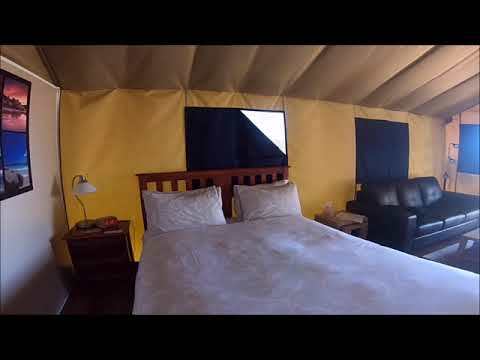 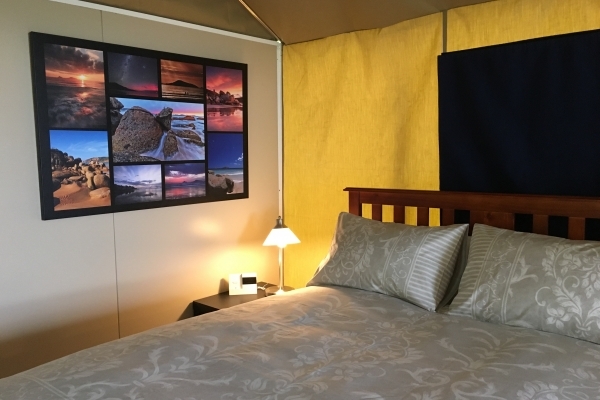 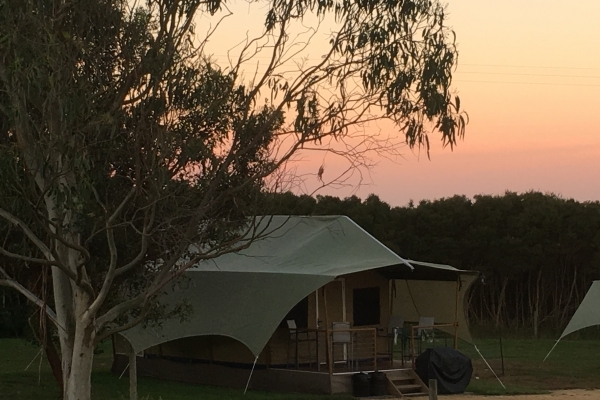 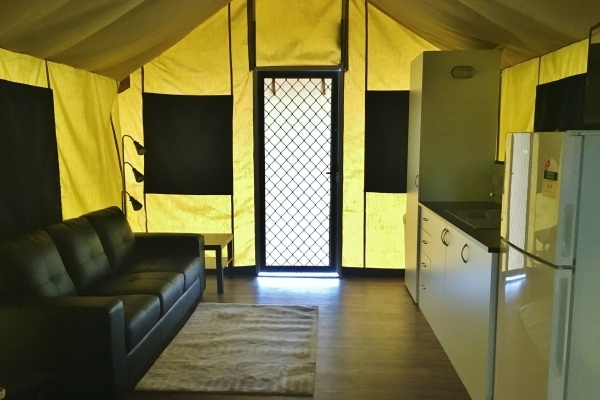 Come and experience "Comfy Camping", or glamping at Wilsons Prom! 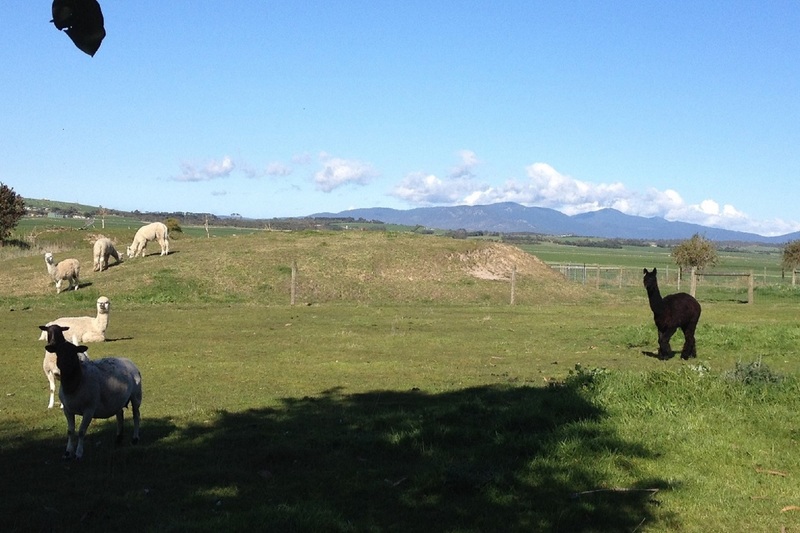 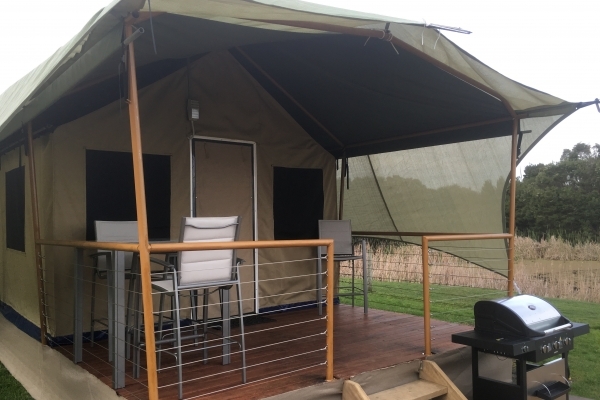 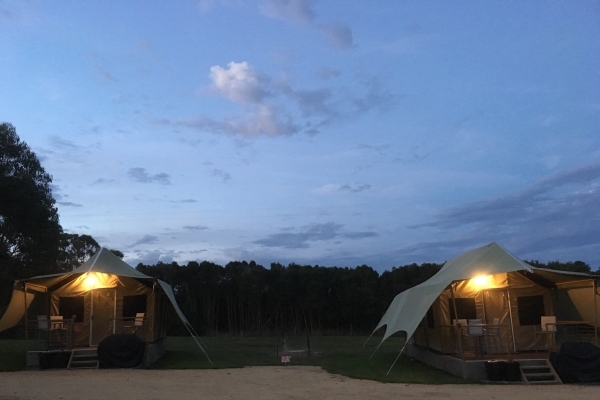 Our two glamping tents are located next to each other near the front of our property. 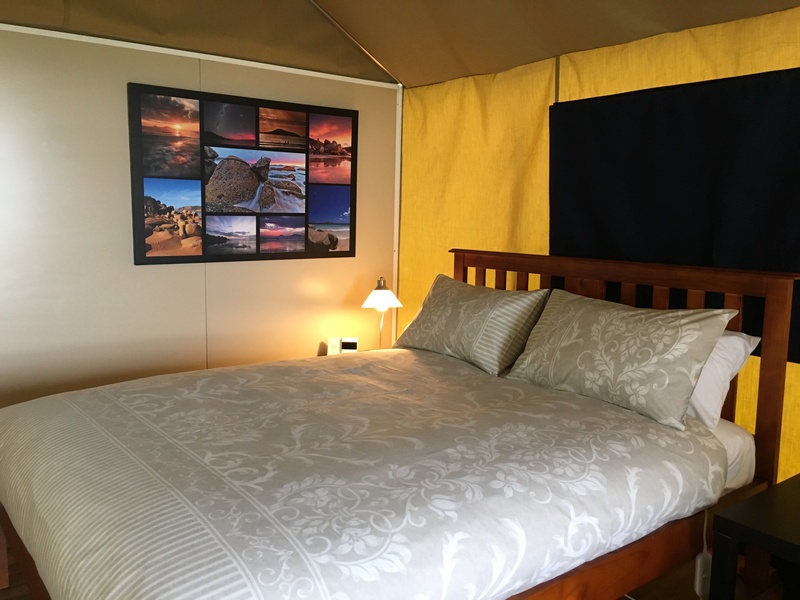 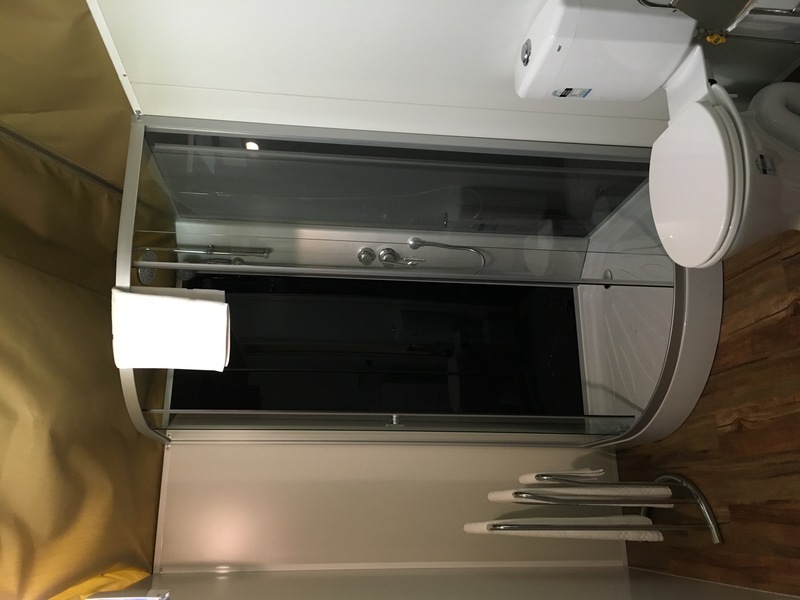 Each tent features canvas walls so you feel like you're camping but with the luxury of a private ensuite with shower, toilet and basin. 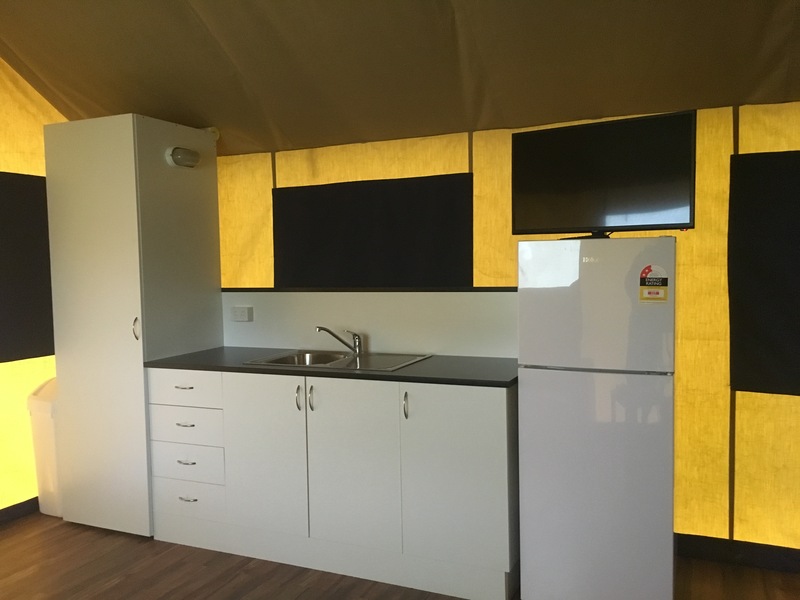 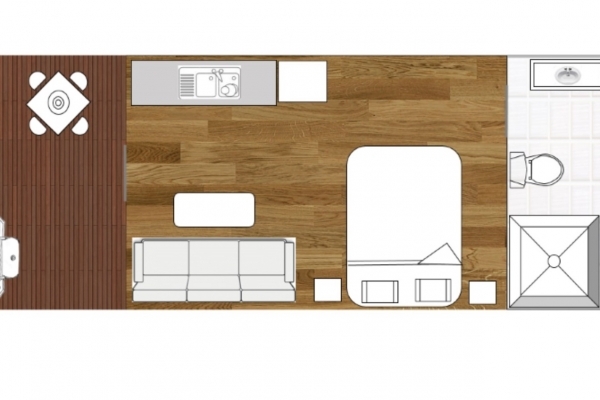 There is a kitchen/food prep area with full size fridge, sink, microwave, coffee machine, kettle and toaster, opposite a leather couch (and heater). 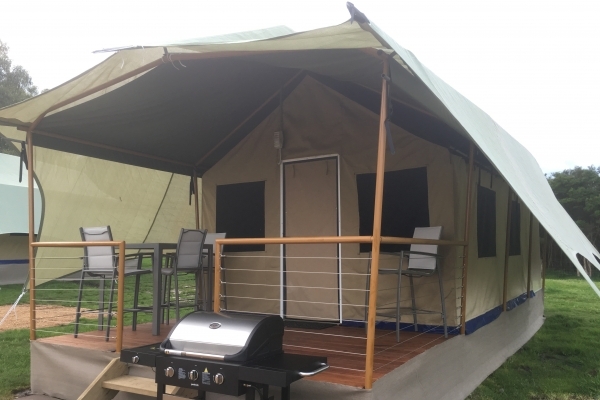 There is a private gas BBQ with wok burner and outdoor setting on the deck for cooking and enjoying your meals. 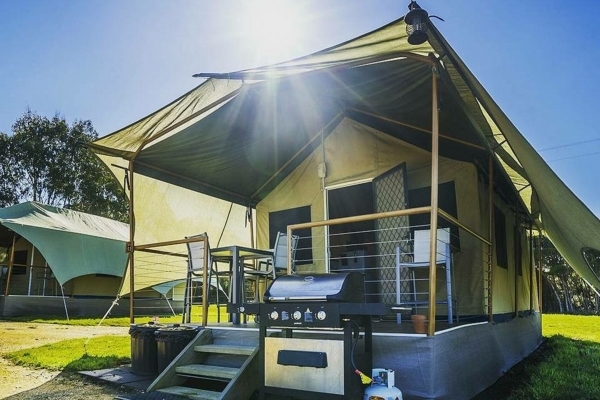 All the mod-cons any glamper would expect are included. 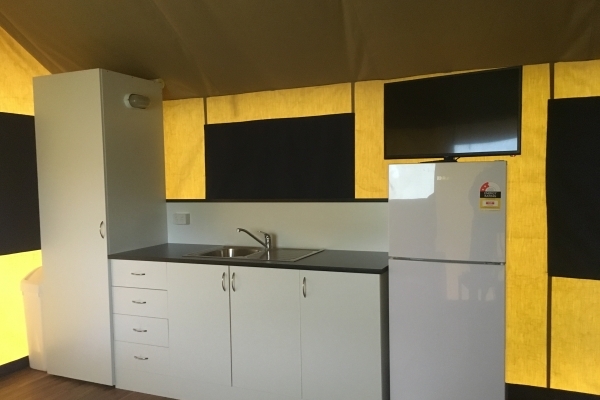 As a courtesy we provide initial supplies of tea, coffee, sugar, milk, salt, pepper, serviettes, soap, shampoo and conditioner. 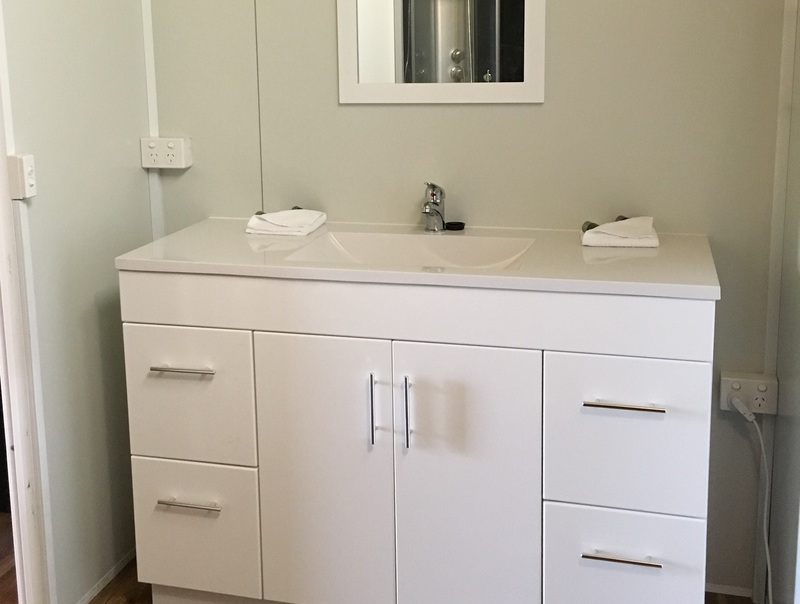 We also supply toilet paper, washing up liquid, chux, tea towel, insect spray, cling wrap and foil. 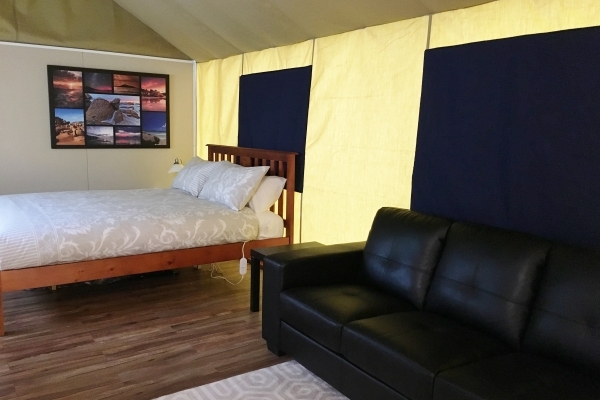 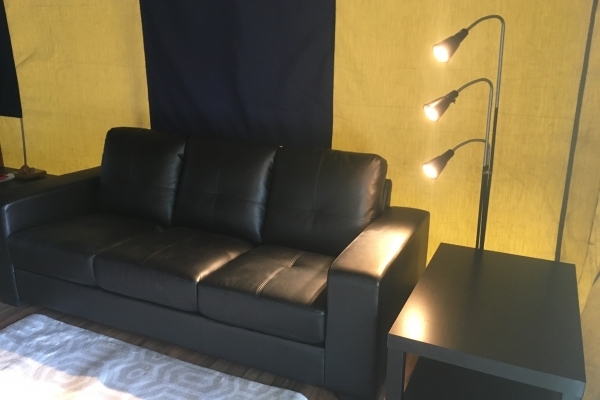 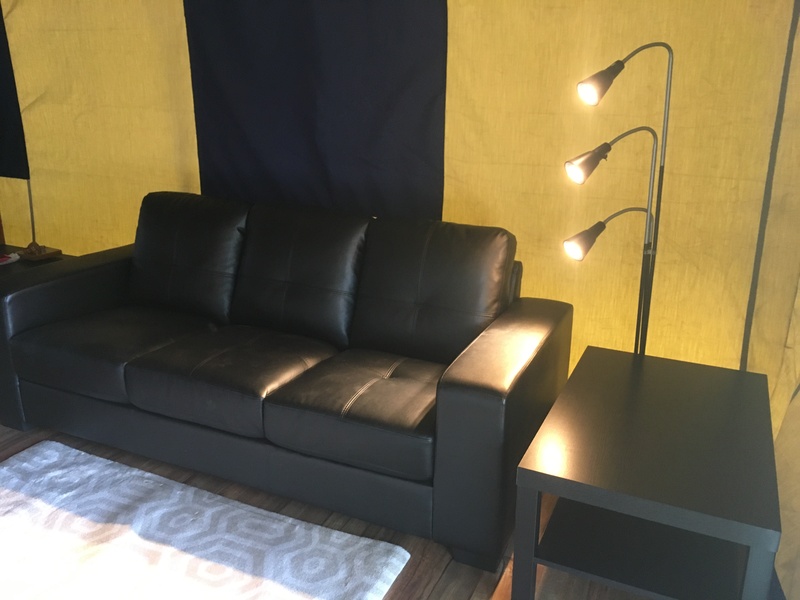 Your stay includes FREE Wi-Fi internet access (in your tent and on the grounds), use of DVD library and a variety of board games. 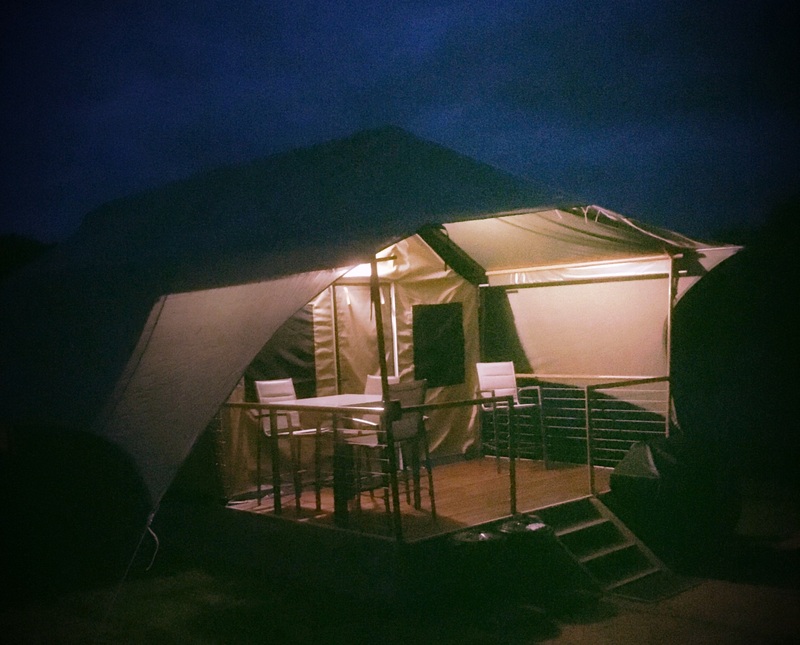 What makes the tents eco? They are powered by solar power, serviced with rainwater and they are designed to meet world heritage area standards, meaning the structures will not leave a footprint on the earth when they are removed. 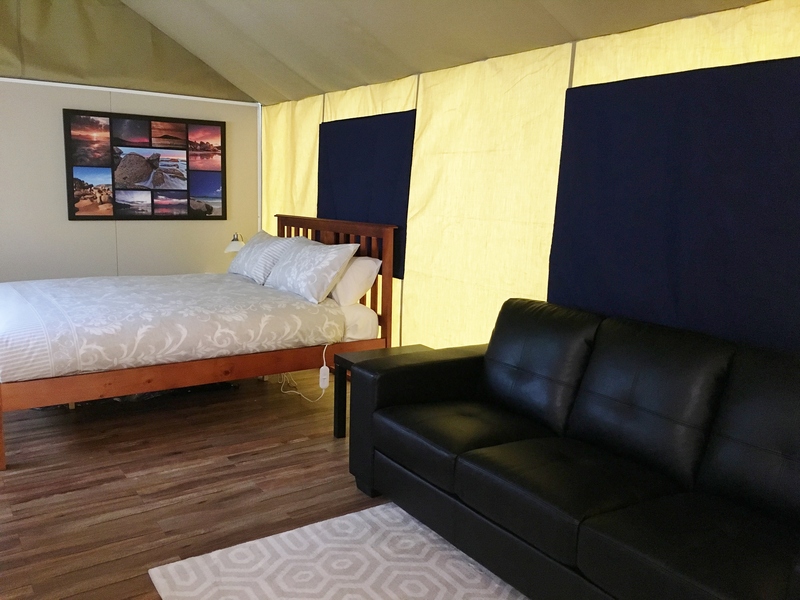 Free unlimited wifi access in all tents, cabins and public areas on the property, you will be given access codes on arrival.